Installing the Microsoft Outlook Contacts app will help you to easily synchronize contacts between your Outlook and Freshdesk account. 1. Bi-directional contact sync will make sure your Freshdesk and Outlook contacts are always updated. For example, when you update an existing contact in Freshdesk, the changes are automatically updated in the Outlook “Freshdesk contacts” and vice versa. 2. Multi-Account sync will enable you to enable the Freshdesk-Outlook contact sync for multiple accounts. 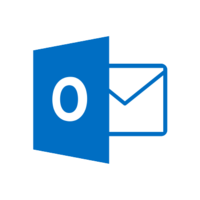 You can use multiple Outlook accounts either during setup, or any time later.Even after the initial sync, you can add more Outlook accounts to import and export contacts. 3. Contacts Field Mapping will help you add more context to all your incoming contacts. By default, fields like Name, Email ID, Work Phone Number, Mobile Phone Number are synced from Outlook. You can configure the app to sync up to 6 additional custom fields of your choice. 1. Enabling the Microsoft Outlook Contacts app for your Freshdesk is a fairly simple process. Head over to the Admin tab in your Freshdesk dashboard. 2. Under the Helpdesk Productivity tab, click on the “Apps” icon and goto the “Get more Apps” button on the right-hand side. 3. When you find Microsoft Outlook Contacts, simply click on the icon and hit install. 4. The app will be enabled for your helpdesk now.